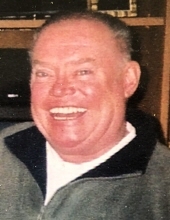 John L. Myres, 75, of Colona passed away November 18, 2018 at his home. A celebration of life will be held at a later date. In lieu of flowers memorials may be made to the Colona Food Pantry. Quad Cities Cremation Center is assisting the family with arrangements. John was born June 22, 1943 in Moline, IL the son of Clarence and Leona Myres. He married Dawn Sells January 16, 1997 in Cleveland, IL. She passed away February 20, 2008. John retired from Case IH in 1993 after 32 years. He was an avid CUBS and Bears fan and loved fishing and hunting. Survivors include his daughter Amy Sayer and a sister Roberta (Jim) Holliday of Colona. John was preceded in death by his parents and brothers Robert Myres and Ron Harrington. To plant a tree in memory of John L Myres, please visit our Tribute Store. "Email Address" would like to share the life celebration of John L Myres. Click on the "link" to go to share a favorite memory or leave a condolence message for the family.